It’s a never-ending story. 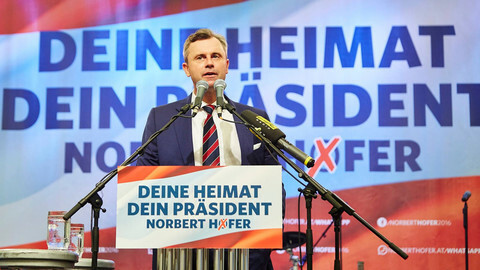 Five months after Green Party-affiliated candidate Alexander van der Bellen narrowly beat far-right candidate Norbert Hofer, Austria still has no president and no definite date for another election. The original result was annulled by Austria’s Constitutional Court because of vote-counting irregularities. A rerun scheduled for 2 October has now also been derailed - by glue that won’t stick. A number of envelopes sent to voters for their mail votes won’t stay closed. Rather than run the risk of another election fiasco, and a possible renewed constitutional challenge to the outcome, the Austrian interior minister has asked parliament to approve a postponement to 4 December. A week is a long time in politics. Two months is even longer and opinion polls in recent months had given Hofer a marginal edge over Van der Bellen. In August, his narrow lead grew to 53 percent against 47 percent, before dropping back to a 52-48 margin. The lead diminished after the shock of attacks in Germany and France in the summer began to wane, a post-coup political row with Turkey stagnated, and a summer surge of refugees failed to materialise. The absence, so far, of overwhelming new refugee numbers has not stopped hardliners - most notably the interior minister himself, as well as foreign minister Sebastian Kurz - from demanding firmer action. They want an extraordinary parliamentary decree declaring a nationwide state of emergency and effectively halting all new asylum requests to be passed even before the self-imposed cap of 37,500 requests is reached. The cap was agreed on by the Social Democrats (SPO) and the junior coalition partner the People’s Party, to which Kurz belongs. 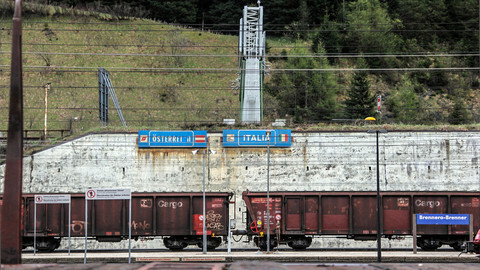 The new leader of the SPO, chancellor Christian Kern, who was still head of the Austrian Railways when the first round of the presidential election was held six months ago, has suggested there is no need for an emergency degree unless there is actually an emergency. But he’s being undercut by hardliners in his own party such as defence minister Hans-Peter Doskozil, who is a former senior police officer and is a political protege of the governor of the Austrian state of Burgenland. 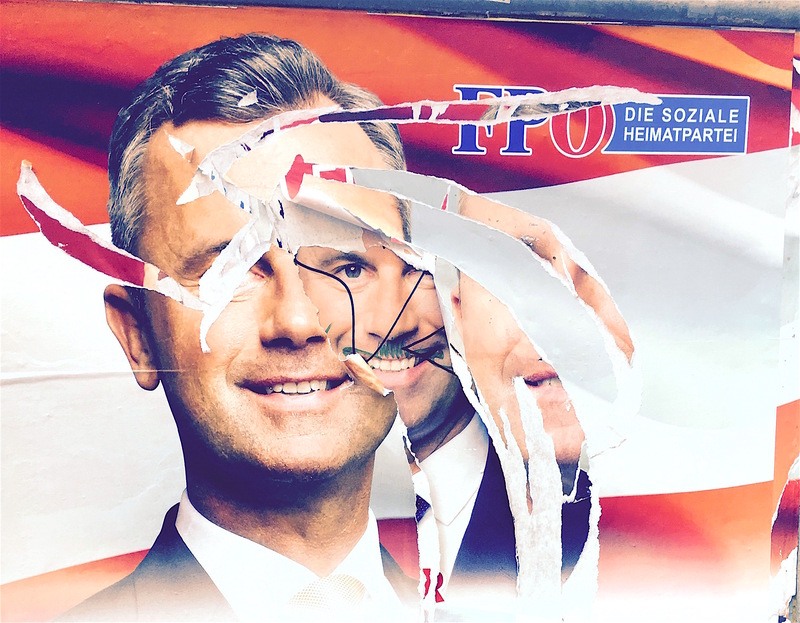 The Burgenland is ruled by an SPO coalition with the far-right Freedom Party, and the governor is said to be in favour of such a coalition on the national level too. In a possible nod to this hard-line pressure within his own party, Kern surprised friend and foe alike by undiplomatically calling for a complete end to EU accession talks with Turkey following the attempted coup. He issued the call on the same night in which thousands of supporters of Turkish president Recep Tayyip Erdogan demonstrated in the streets of Vienna without the necessary prior registration. Not to be outdone, Hofer subsequently suggested a hold be put on granting Austrian citizenship to Turks. Renewed coalition bickering sparked by these differing opinions, and other disagreements, both between and within the two governing parties, have refuelled rumours that early legislative elections are in the offing well before the end of the current government’s full term. In taking a tough line on refugees, some suggest, certain politicians from the two mainstream parties may be preparing to take the wind out of the sails of the far-right Freedom Party, which has for months dominated national opinion polls, while at the same time paving the way for a coalition with the far right should they still triumph in early elections. In any event, the hard-nosed - some say populist - tone of certain mainstream party ministers on the refugee crisis resonates with the key anti-immigrant, pro-security focus of Hofer’s presidential campaign, and may provide impetus to far-right support for it from the electorate mainstream. This support could increase further if there are any more Islamist attacks before the now-postponed rerun, if the refugee crisis rears its head again, or if the political spat with Turkey takes a further turn for the worse, especially with renewed demonstrations by Erdogan supporters in Austrian cities. 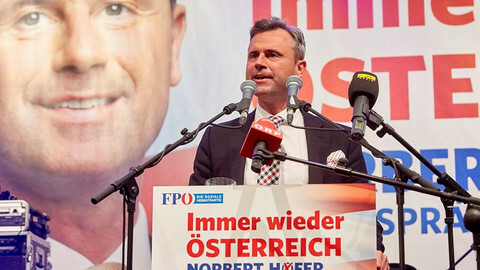 “A lot will depend on developments that may still occur in Austria,” Hofer spokesman Martin Glier told EUobserver. In the annulled vote, Van der Bellen beat Hofer by only 35,000 votes, so any such developments - or the absence thereof - may be crucial in determining how many people decide to vote for the candidate they didn’t vote for last time. Polls indicate that voter turnout is going to remain high. The irritation, anger, bemusement and disbelief sparked by yet another twist in the drawn-out presidential saga are not yet translating into voter fatigue. Meanwhile, both Van der Bellen and Hofer remain indefatigably confident. Glier acknowledged that despite the postponement the race was still “tight”, but he said Hofer’s chances were “intact”.